Michael was retained during the initial stages of construction of this magnificent 5,500 square foot home. Early participation in the process allowed him ample opportunity to consider and coordinate architectural and finish selections with furnishings. 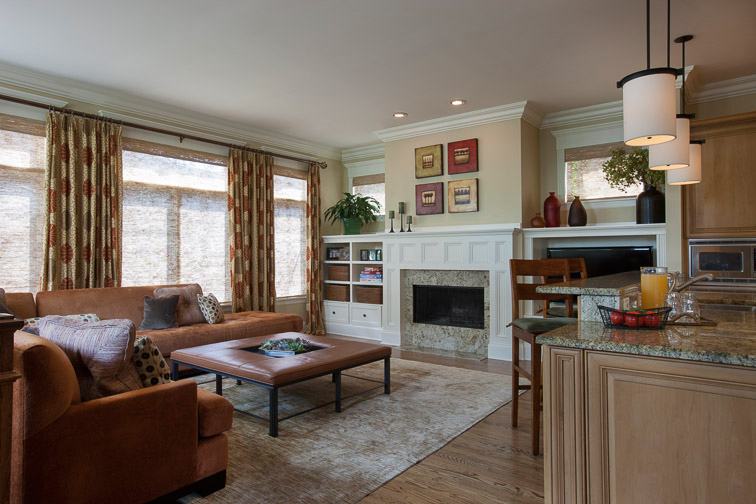 Working closely with both the homeowners and Environs Development, Michael chose cabinetry, stone, millwork, flooring, wall finishes, and lighting that would truly reflect his clients’ tastes. Michael then chose furniture, fabrics, artwork, and accessories as carefully considered complements. The project’s success has since led to Michael’s comprehensive involvement in the interior design of the family’s two vacation homes.